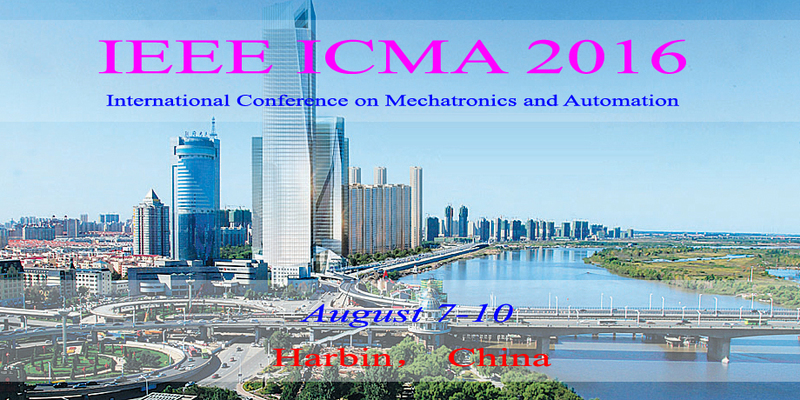 The IEEE ICMA 2016 has been held in Harbin, China from August 7 to August 10, 2016. Thank you for a successful, record-setting IEEE ICMA 2016. See you all again at IEEE ICMA 2017 Takamatsu, Japan from August 6 to August 9, 2017. Organized Sessions: Proposals with the title, the organizers, and a brief statement of purpose of the session must be submitted to an OS Chair by April 10, 2016. An invited session consists of at least four papers that must be electronically submitted for review using the same procedure for contributed papers. Contributed Papers: All papers must be submitted in PDF format prepared strictly following the IEEE PDF Requirements for Creating PDF Documents for IEEE Xplore®. The standard number of pages is 6 and the maximum page limit is 8 pages with extra payment for the two extra pages. See detailed instructions in the conference web site. All paper accepted by IEEE ICMA 2016 with all conference content will be submitted for inclusion into IEEE Xplore as well as other Abstracting and Indexing (A & I) databases, also will be indexed by EI.